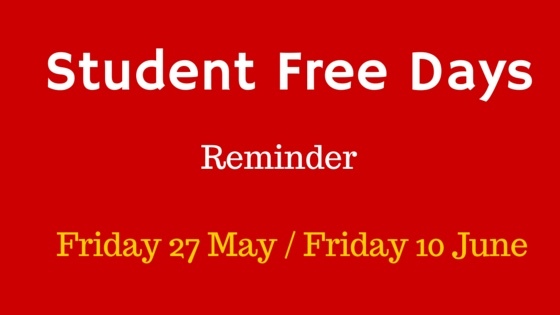 We remind families that our next student free days occur on Friday 27th May and Friday 10th June. On these days all staff participate in professional learning aligned with our school improvement plans. On Friday 27th May – staff will be participating in a full-day workshop facilitated by literacy consultant, Carmel Small of Cengage Learning Australia, with the focus on explicit literacy strategies and classroom data in reading comprehension to inform practice.